In the 2nd floor Tabletop Lounge you can learn to play the card game Keyforge, a hot 2018 unique collectible card game. Additionally, this area includes scheduled RPGs and Tabletop Games taught by Cecil Con Staff and Volunteers. (The Free Board Gaming Library with tons of games and open tables is on the 1st floor in the Tabletop Game Center.) For specific questions and inquiries about the space please email Matt at the address below. If you would like to run a tabletop game at the convention then please email Matt. This is a stand-alone one-shot and is not an Adventure League event. This legendary fantasy role-playing game has millions of players worldwide. Step into the boots of mighty heroes. Learn to create your own character. Casual player friendly! 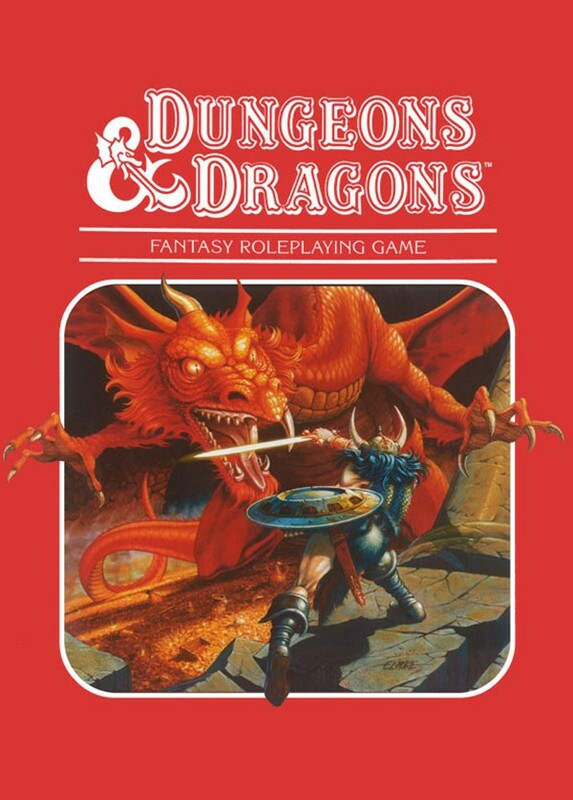 Cecil Con 2019 is offering two sessions of Dungeons & Dragons 5th ed. for up to five (5) players each. Make a character or use a pre-generated character. Registration recommended (not required) but it guarantees your seat at the table. Walk-Ins are welcome but are requested to arrive 10 minutes before the games begin and are not guaranteed a seat. 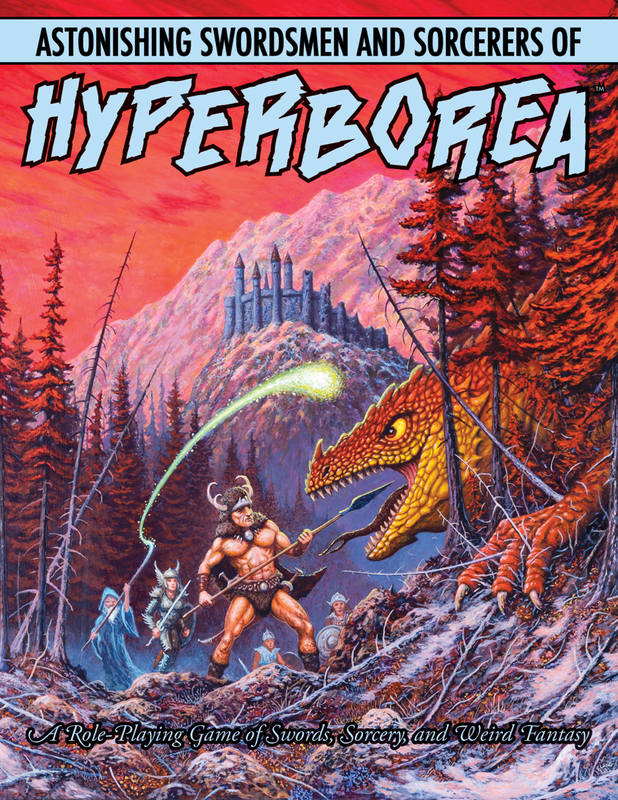 A sword-and-sorcery RPG, Astonishing Swordsmen & Sorcerers of Hyperborea™ is an award-nominated tabletop RPG featuring new spells, monsters, items, and classes. With a splash of Lovecraft, experience the stylings of Robert E Howard’s 1920s/’30s pulp fantasies which inspired the Conan novels and Robert Jordan’s Wheel of Time. 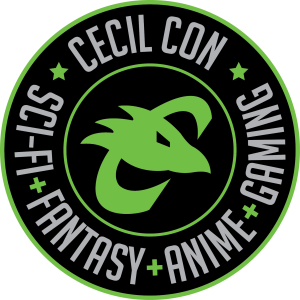 Cecil Con 2019 is offering Astonishing Swordsmen for up to five (5) novice or seasoned players with pre-generated characters. Registration recommended (not required) but it guarantees your seat at the table. Walk-Ins are welcome but are requested to arrive 10 minutes before the games begin and are not guaranteed a seat. No schedule, just walk in! Location: 2nd Floor Phys Ed. 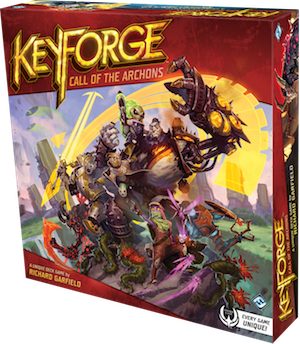 Cecil Con 2019 is offering Keyforge as an all day “learn-to-play” event. There is no registration, but let us know below if you’re interested so we can prepare more effectively for you. See you at the table. 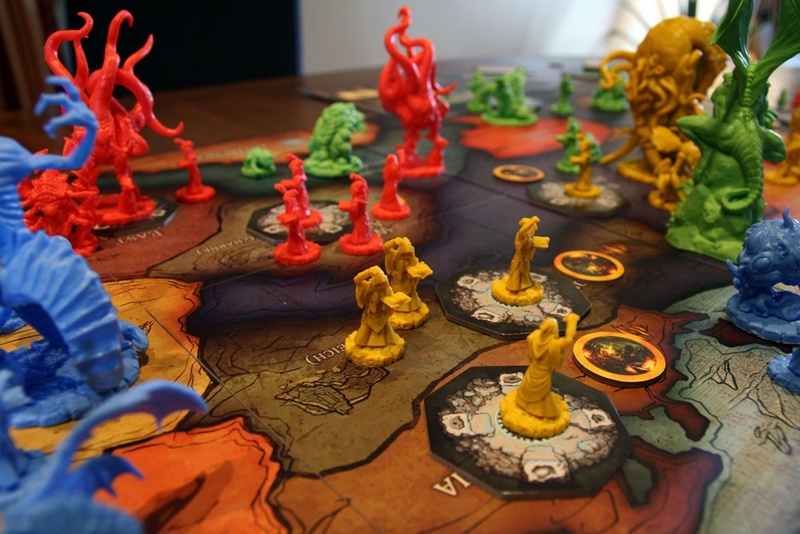 Cthulhu Wars is a strategy boardgame in which the players take the part of alien races and gods taken from the Cthulhu mythos created by H. P. Lovecraft. The game is physically large, and includes over 60 oversized figurines of the cultists, monsters, aliens, and Great Old Ones that range in height from approximately 20 mm to nearly 180 mm. The game takes place on a map of Earth. Each player takes charge over a factions. Recruit, summon, cast spells, battle, awaken your Old One, and lay waste to the world. Cecil Con 2019 is offering this complex 2+ hour strategy game at two (2) different times for two (2) separate groups of 3-to-6 players. Space limited. 3-6 players per session. Sign-up below! 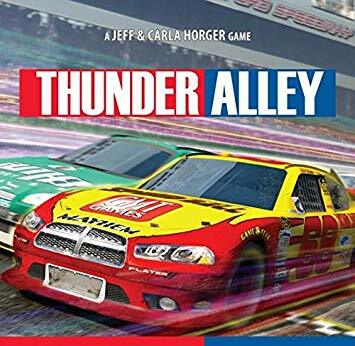 Cecil Con 2019 is offering attendees the chance to enjoy one of the best racing games in the hobby. Each of the two (2) unique sign up times can support 3-7 players.